Falcon Aviation Services was formed in 2006 under the initiative of HH Dr. Sheikh Sultan bin Khalifa bin Zayed Al-Nahyan, with the prime objective of filling the gaps in the local Aviation Market through the provision of innovative products and services. With its main operating base at Al Bateen Executive Airport, the premier VIP airport in the UAE and situated only 10km from the City Centre of Abu Dhabi, Falcon is ideally located for Operators and Passengers alike. 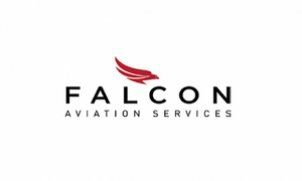 Falcon are committed to delivering the highest level of aviation services that establish benchmark standards in terms of Safety, Quality and Customer Service. The Falcon helicopter and corporate jet fleet offer a diverse range of capability, performance and comfort to satisfy every customer’s requirement. As a result of our strategic vision and innovative products and services, Falcon is one of the most successful corporate jet and helicopter service providers in the UAE and GCC region. Falcon is also a founding board member of the Middle East Business Aviation Association (MEBAA) and are an authorised Service Centre for Embraer and Eurocopter.